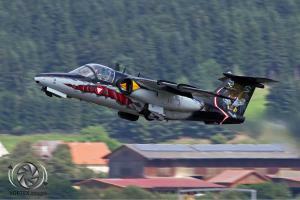 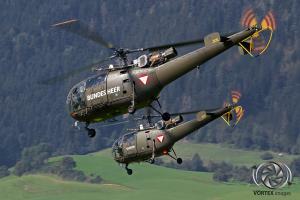 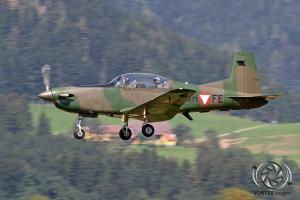 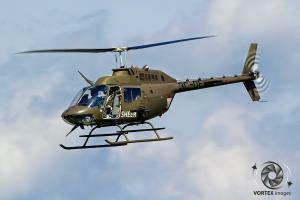 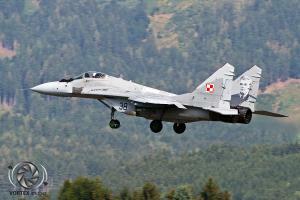 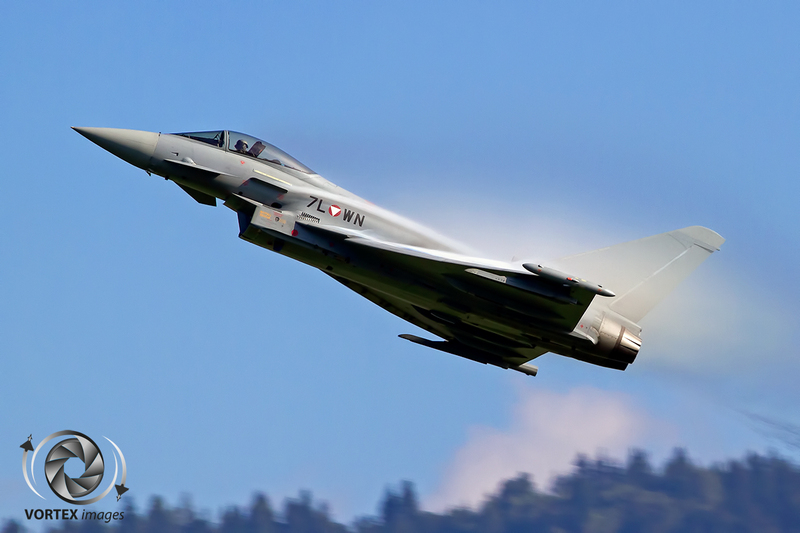 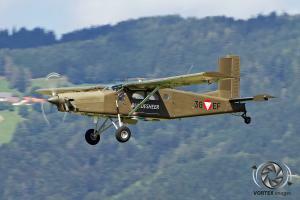 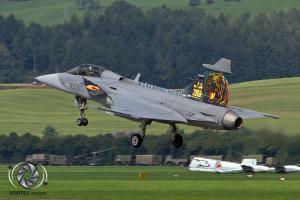 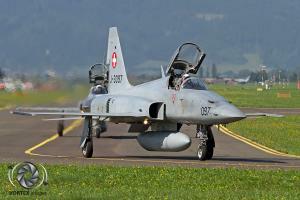 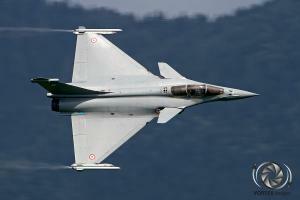 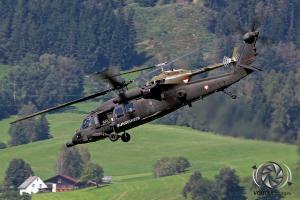 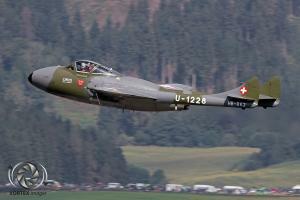 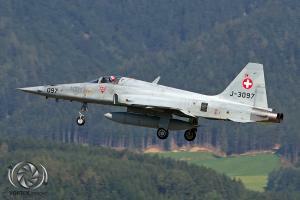 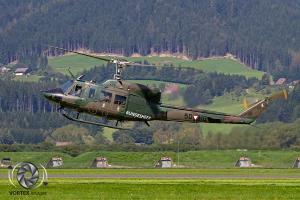 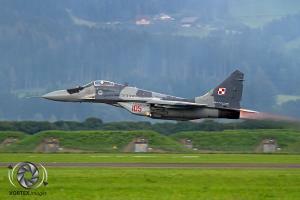 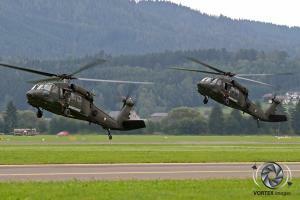 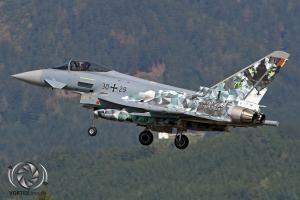 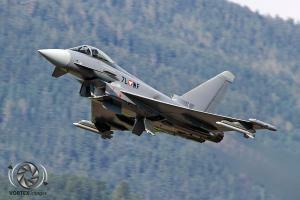 During the first weekend of September it was time again for the Zeltweg Airpower to take center stage. 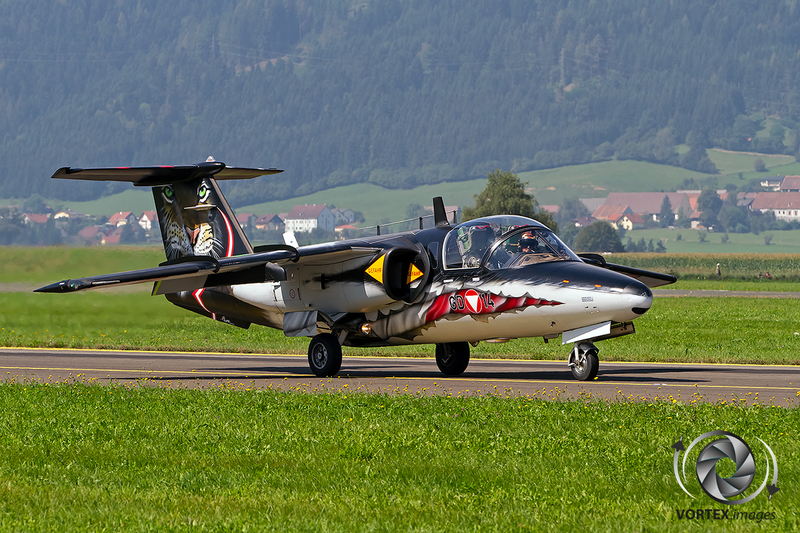 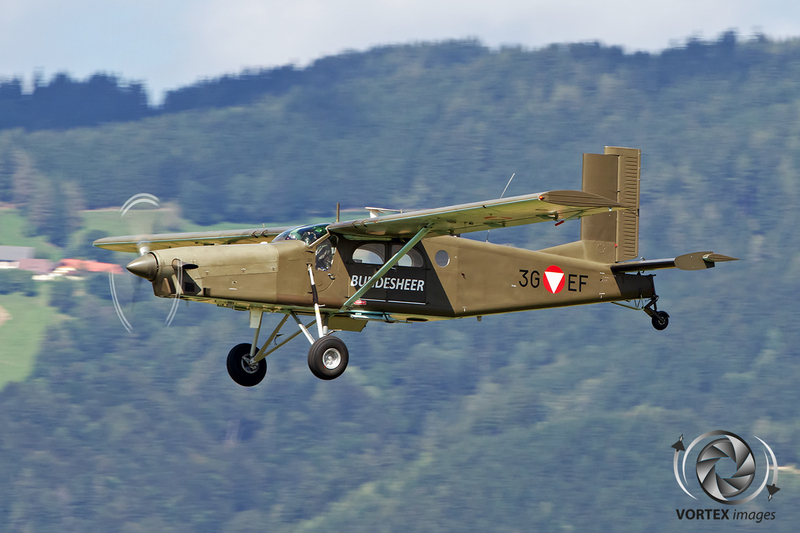 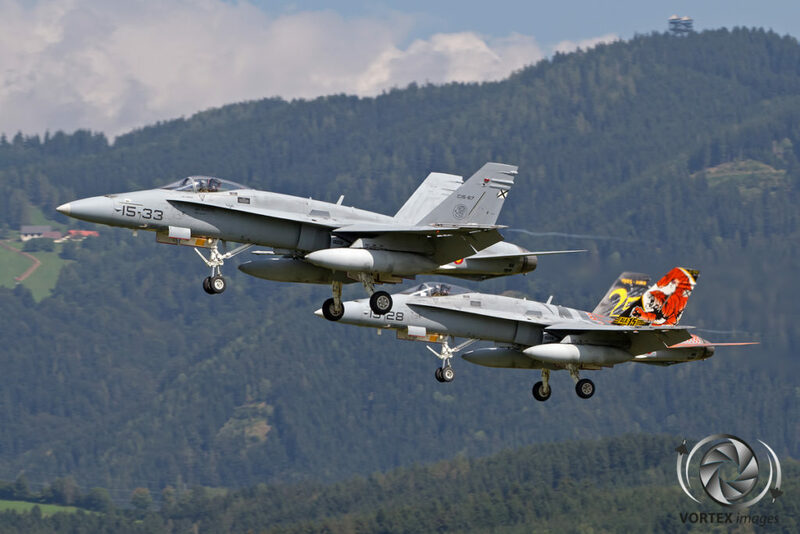 This airshow organized by the Austrian Air Force, Red Bull and the region of Steiermark was once again one of the highlights of the airshow circuit. 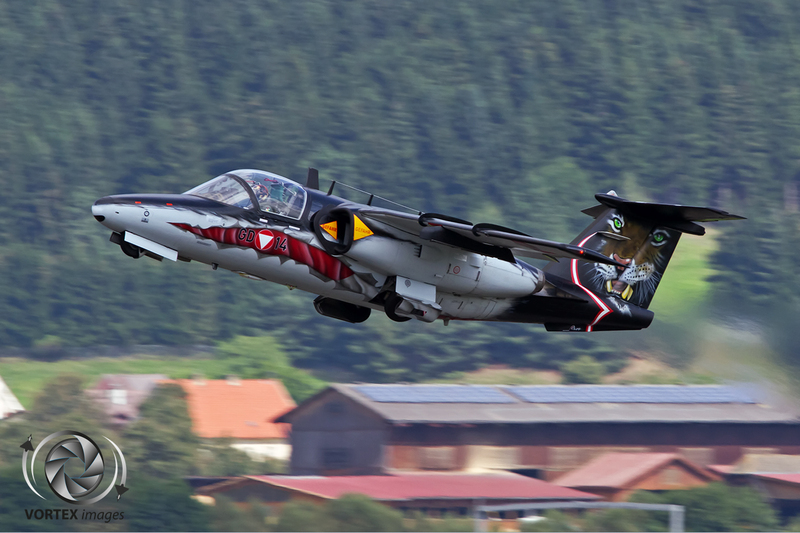 Organized every few years, this edition was visited by 300.000 people whom could witness 240 aircraft from 20 different countries. 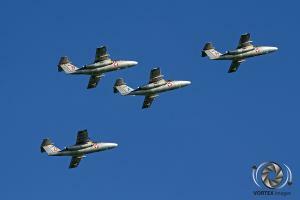 At 09:00 each day the airshow started. 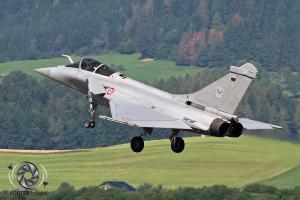 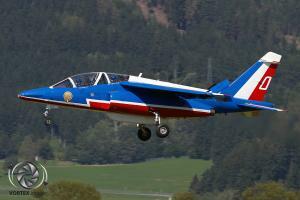 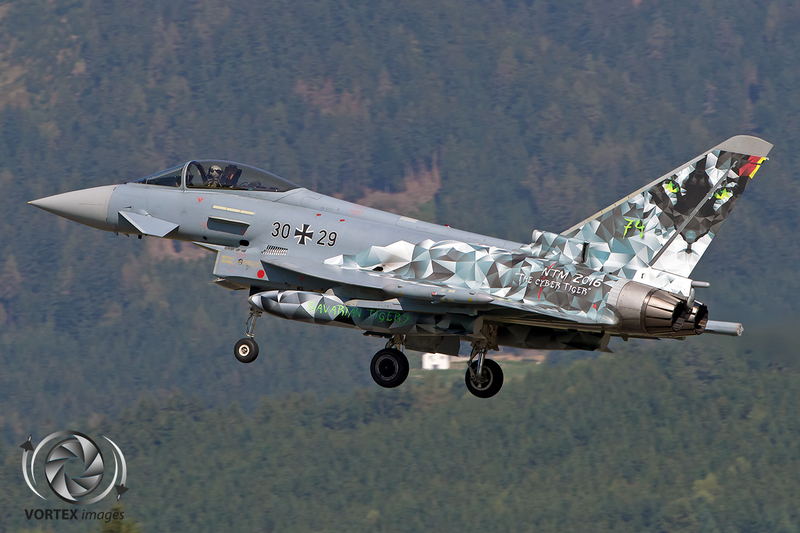 To show the visitors the connection between the three organizers a combined display was conducted by an Austrian Air Force Eurofighter Typhoon, a Flying Bulls Dassault Alpha Jet and a hot air balloon from the Region of Steiermark. This display resulted in a unique sight not seen anywhere else in the world. The airshow consisted of various solo displays as well as display teams such as the French Air Force Rafale, Polish Air Force Mig-29 Fulcrum and Italian Air Force C-27J Spartan but also the Italian Display team Frecce Tricolori and the Wings of Storm from Croatia. 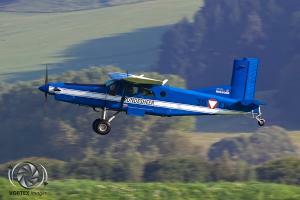 The variety of the program resulted in a first class event. The flying display also had a few treats that couldn’t be seen anywhere else this year. 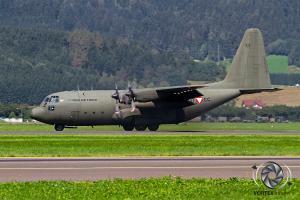 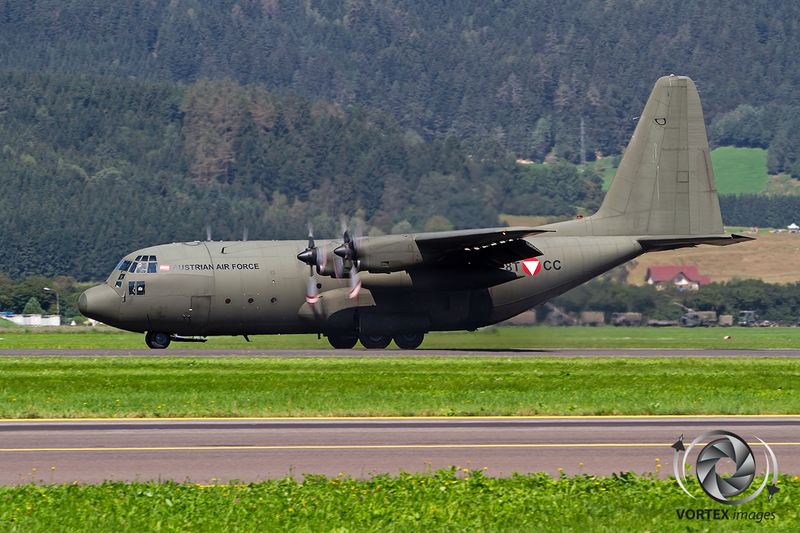 The Austrian Air Force performed an intercept demo with one its C-130K Hercules aircraft and two Zeltweg based Eurofighters. 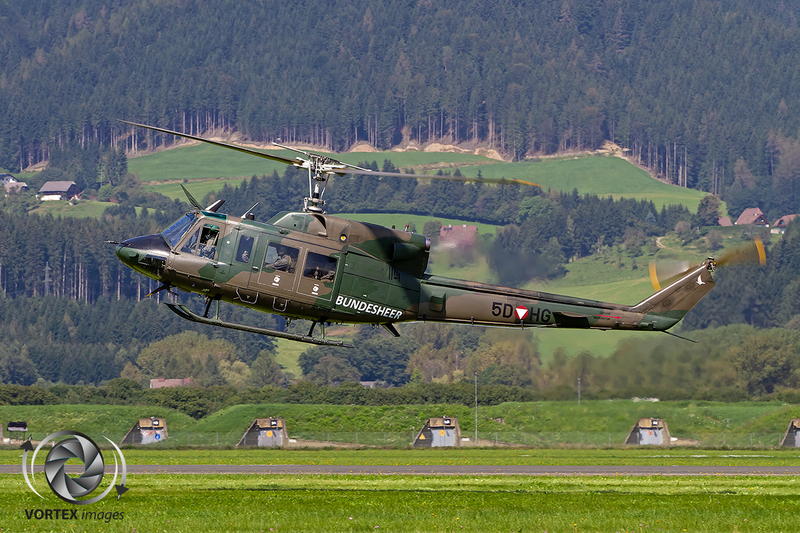 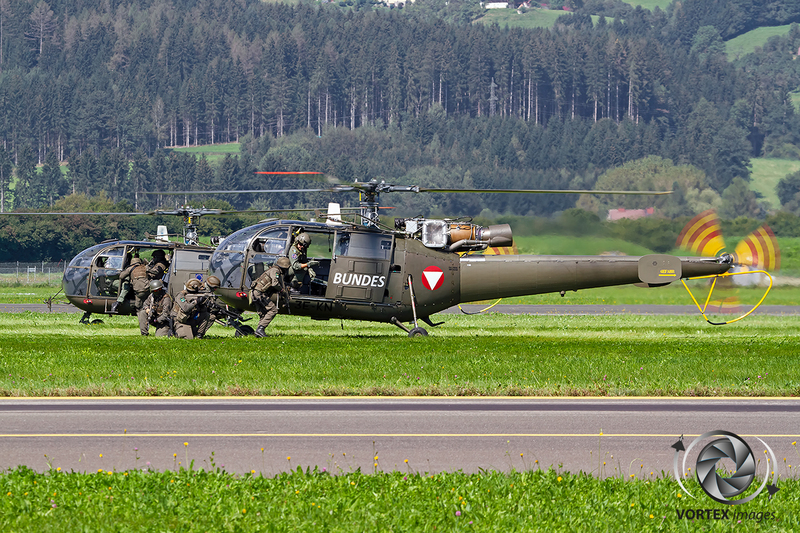 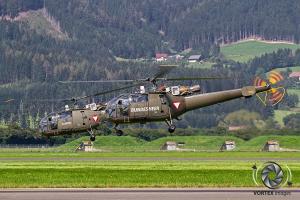 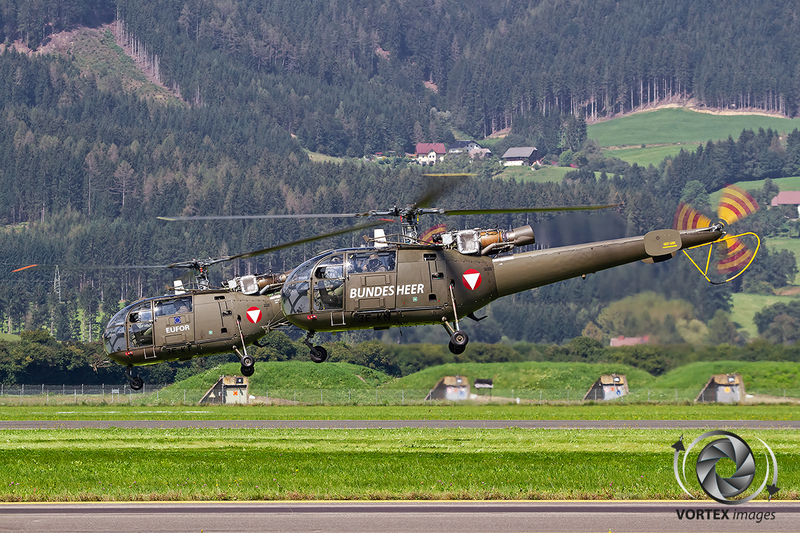 Being one of the highlights during many previous Zeltweg Airpowers also this year once again had an impressive airfield assault demo conducted by the helicopter elements of the Austrian Air Force. 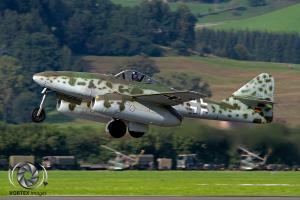 Under the classic music tones of Wagner’s Ride of the Valkyries the airfield was attacked. The OH-58’s provided top cover while the AB-212’s, S-70’s and Alouette III’s inserted the troops to reclaim the airfield. 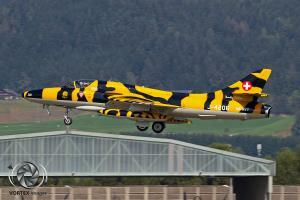 This was a very impressive display and certainly one of the highlights of this year’s airshows. 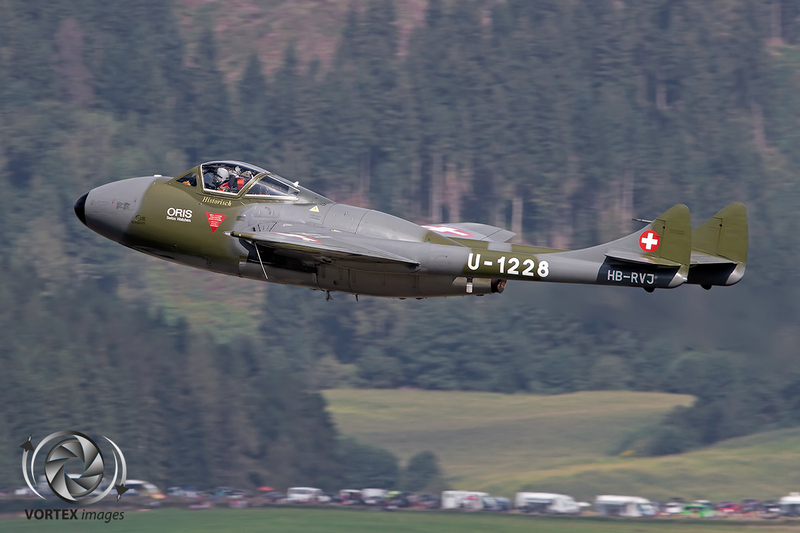 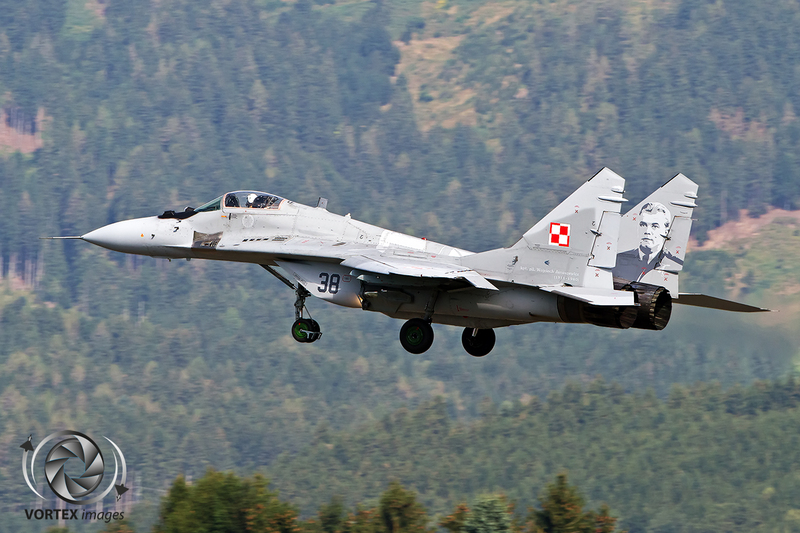 This year’s edition also presented the Austrian Classic Jet Flypast, A formation of fighter aircraft previous and currently operated by the Austrian Air Force. 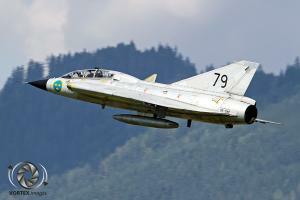 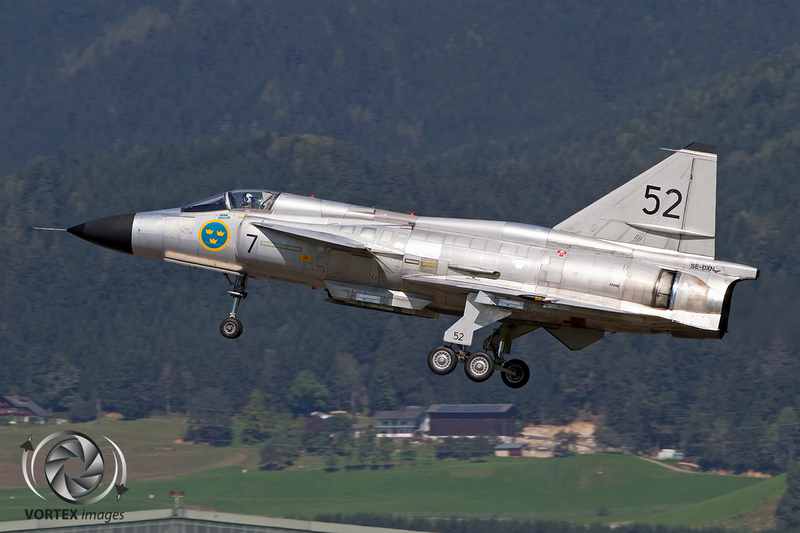 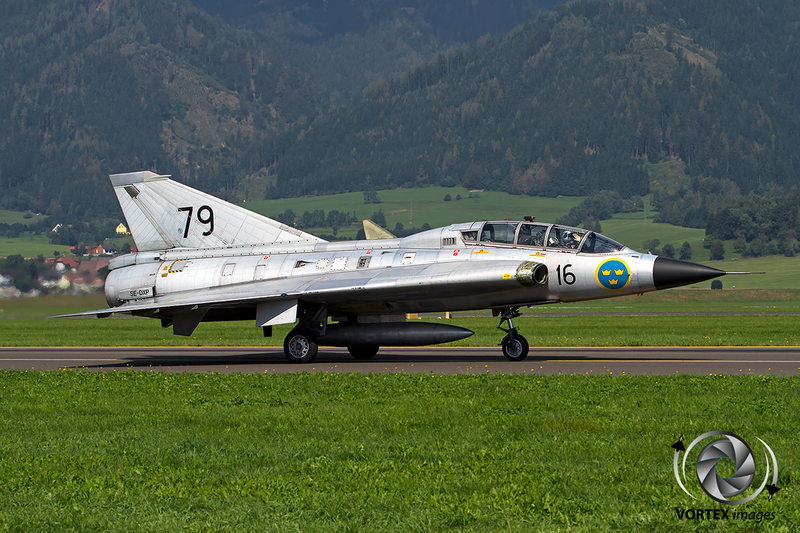 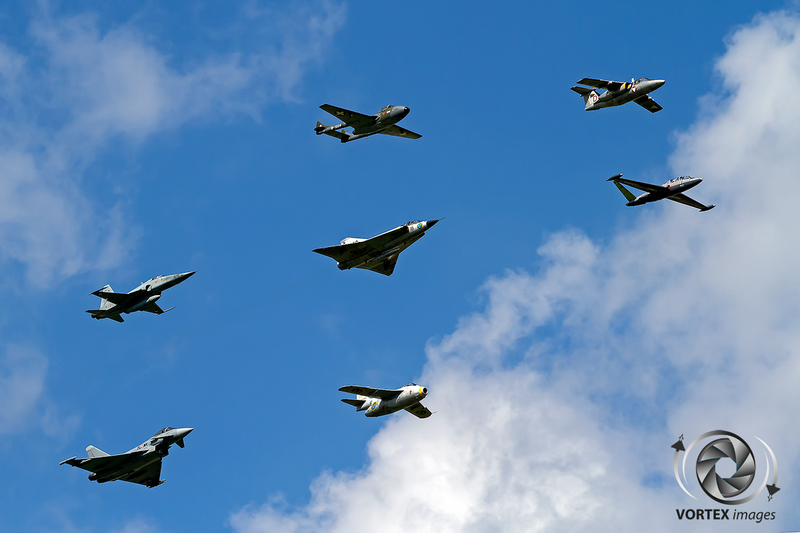 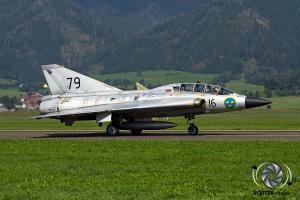 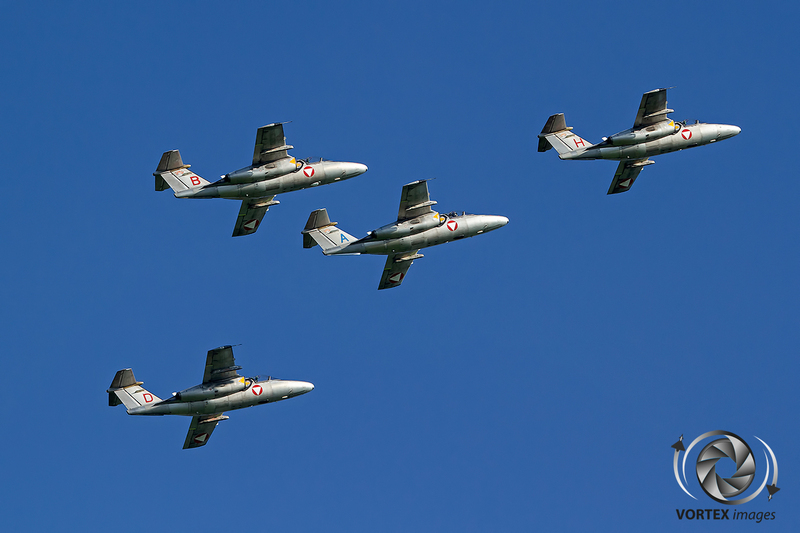 The formation consisted of a Vampire, Tunnan, Magister, Draken, Saab 105, F-5E and an Eurofighter. 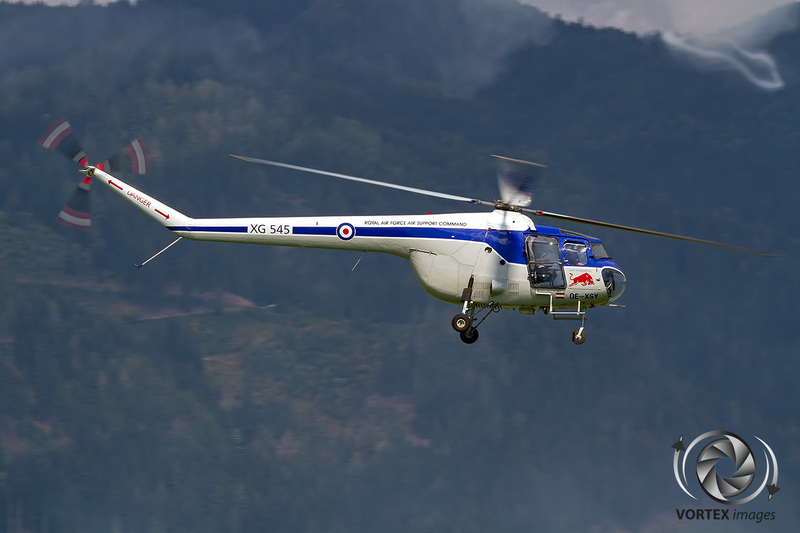 Redbull, being one of the hosts took part in the display as well. 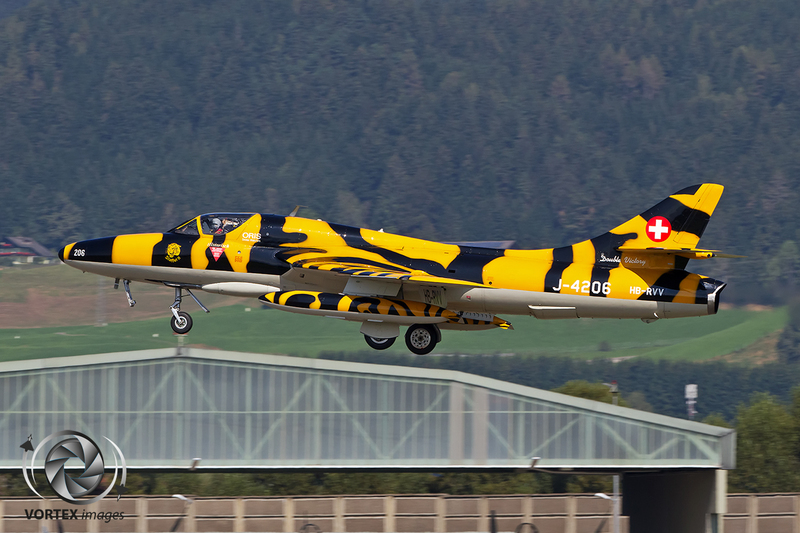 The Salzburg based Flying Bulls brought almost their entire fleet of aircraft to Zeltweg. 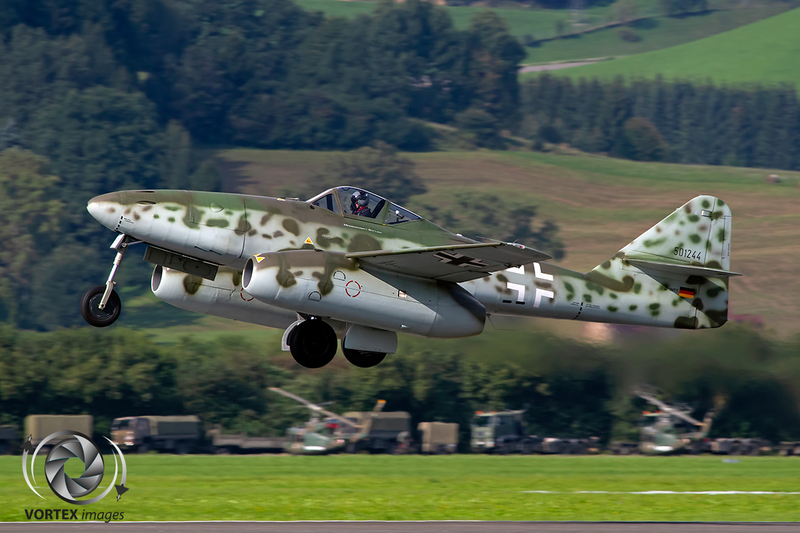 Besides the well known DC-6, P-38, B-25, Corsair and Alpha jet this year was also the public debut of two new members of the Flying Bulls. The recently restored T-28 Trojan was put through its passes as well as the one of a kind Bristol 171 Sycamore helicopter. 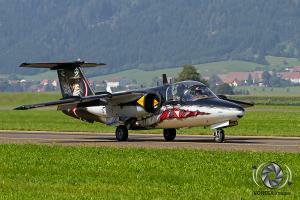 Besides the great flying display also a lot of aircraft could be seen on the ground. 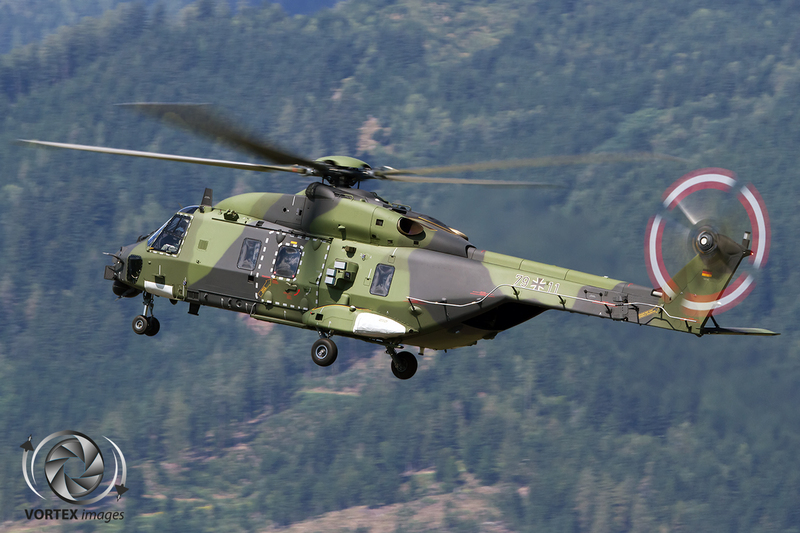 The Austrian Air Force hosted a mini tiger meet which resulted in many NATO Tiger Association members being at Zeltweg such as a Royal Navy Merlin helicopter and German Air Force Eurofighter. 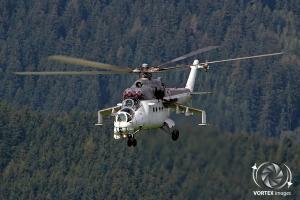 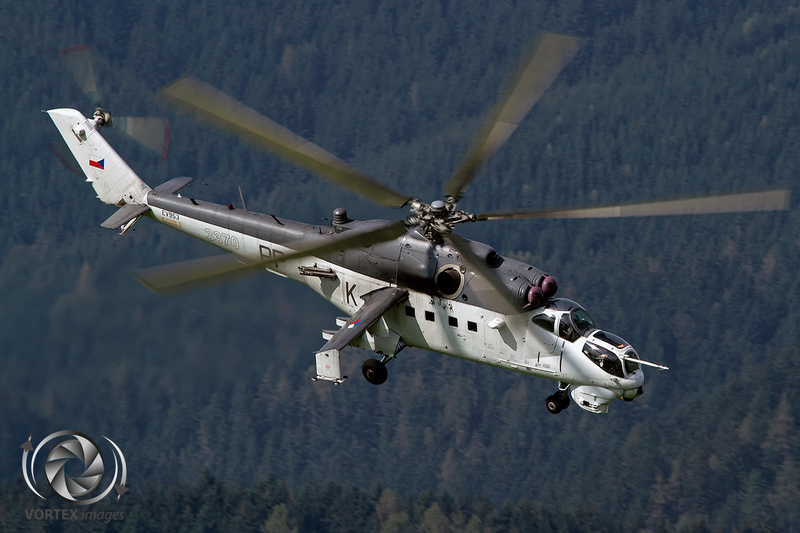 One of the real gems was the Slovakian Mi-17 Hip helicopter. 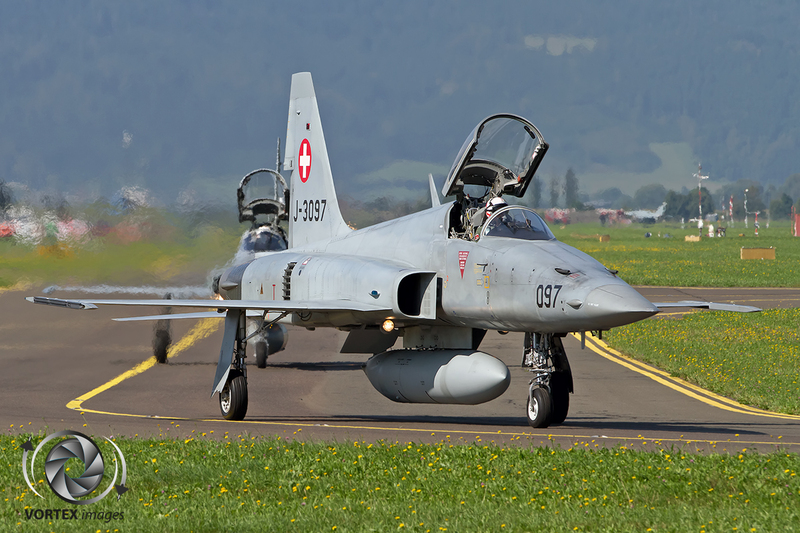 The Zeltweg Airpower 2016 once again lived up to its fame of being a great venue.